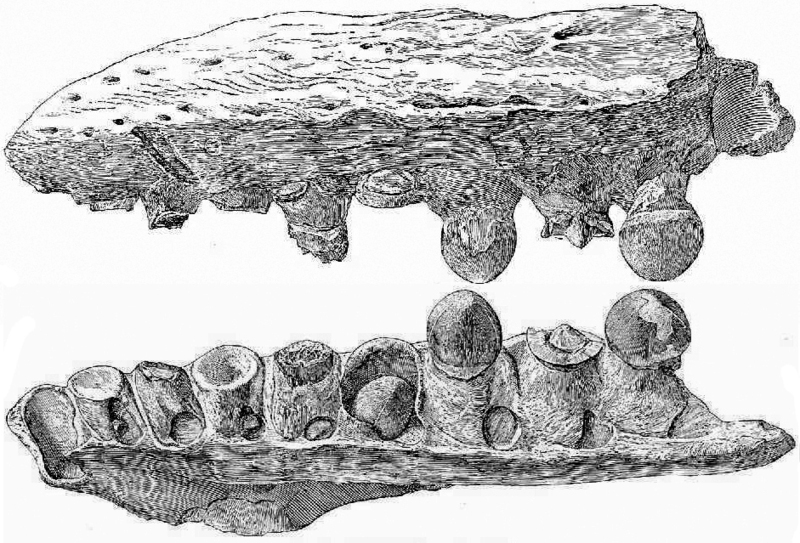 This drawing shows two views of the upper jaw of the mosasaur Globidens alabamaensis. Its rounded teeth lead scientists to conclude that this animal ate shelled creatures such as clams and ammonites. This drawing appeared in a book about the discovery of this fossil in Kansas by paleontologist Charles Gilmore in 1912.